Since the headlights will be off your car, this is by far the easiest time to install LED lights and resistors in the DIYs above. You can also black out your headlight housings or install RS4 grille easily at this time since your bumper will be coming off anyway. i have a confusion, i have my car with part number 8e0941004bm. i need to change because, its brokern. What is the diference with the part number 8E0941030BM or 8E0941029BM or 8e0941003bm. Are not the same?? Whenever you see a one digit difference between two parts, it’s often just left versus right side, FWIW. Thanks!! but, the set 8E0941030BM / 29BM vrs 8e0941004bm/003bm are the same? Any experience of the car not accepting the new coding. I tried to fit my oe bi xenons and couldnt get the coding to change to either 00021 or 00031. It would change any of the other numbers just not any of those. This is on a European b7. Codes could be different in Europe, I would check the entire code not just the digit you’re trying to update and make sure it all makes sense. Quick and dirty after-market HID upgrades?… Only in America! In Australia, you essentially need to replicate the ENTIRE HID system, which includes the headlight washers, which are usually built into the front bar. It appears these requirements follow European mandated standards. Once you include the headlight cluster, ballast, HID-compatible front bar with washers, and, painting the bar, the cost comes close to $2 000. A cheaper option is to use a complete used kit, from a wrecked A4 example, but, you probably need to paint the front bar – even if it’s the same factory colour – so it blends in with the rest of the car. If you skirt the law with an illegal HID kit, and the you are pulled over by the police at night, the officers will pick up pretty quickly that the bright white headlights are amiss. The vehicle will be declared defected, you pay a fine, and, you might be instructed to have the car towed away for the eventual repair. A lousy outcome any way you look at it. In Australia, the B7 3.0L TDI (diesel) S Line quattro had HIDs standard. I think. 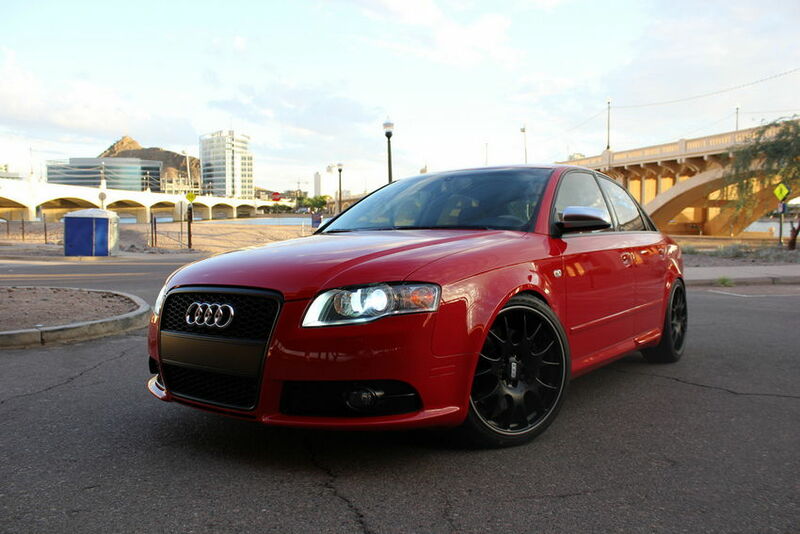 As in Europe, the TDI was top of the range for the A4 – save for the rarer S4 and exotic RS4 – of course. Stephen – that is interesting, but the upgrade above is all OEM and I don’t see why you’d need to swap out the front bar and washers…you would just need to update your VAG-com coding from AU settings to ROW or US to indicate you have xenon but no headlight washers, and it should work…just my 2c. Thanks, for the reply, Nick. In a sentence: different countries, different laws. 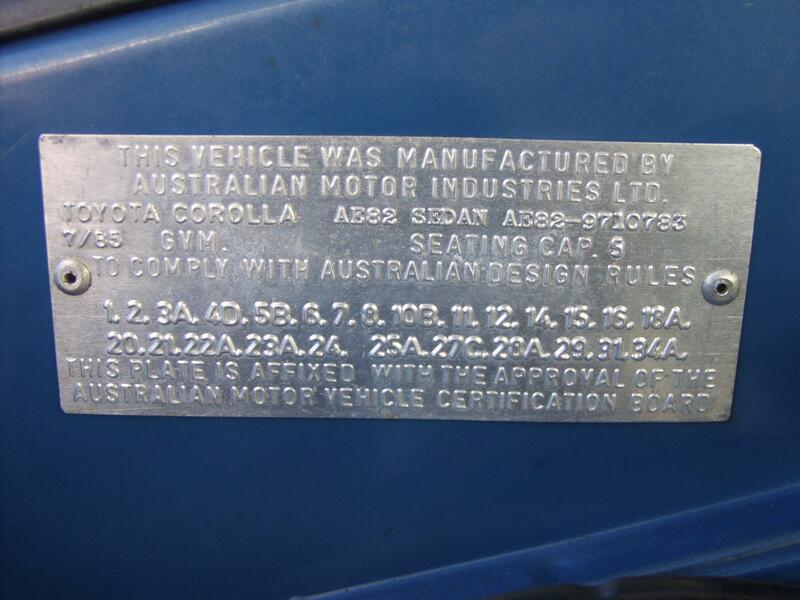 All commonly sold new vehicles in Australia must be compliant with the current Australian Design Rules (ADR). In fact, every vehicle must have a Compliance Plate confirming this, before it can be sold and delivered to the consumer. In practice, however, the consumer does not need to concern him/herself with this requirement, as the vehicle manufacturer completes this task. An extreme example of this is when an Australian wants to privately import an American Chevrolet Corvette or Ford F-150, a rigorous, arduous and for most people – prohibitively expensive – ADR compliance conversion process must be completed before it can be driven. I remember reading once that even the original sun visor on an American vehicle did not meet the ADR. Any way, getting back to HID Xenon retrofit legalities, the ENTIRE system – including HID-compatible front bar with washers – must replicate an equivalent Audi A4 which had HID Xenon installed at the German factory. Similar laws apply to the UK. Again, when the B7 sedan was new in Australia, it appears only the 3.0 L quattro TDI had HID Xenon standard. As for your old silver B7 you sold in 2012, a similar B7 would be illegal to drive in Australia as, as you guessed, it lacks the all-important headlight washers, built into the front bar. Have you ever noticed that when Audi HQ in Germany release official publicity photos of A4s, the HID Xenon-equipped examples always have headlight washers? In the end, for informed and law-abiding Audi A4 drivers in Australia and in the UK, for the most part, do not bother with HID Xenon retrofits as it is too complex and costly. You Americans have it easier. Nick i tried everything but my xenon headlights still don’t turn on on mi audi 2008 a4 do you know anybody who can take a look in mi car in San Diego area and see what’s wrong? 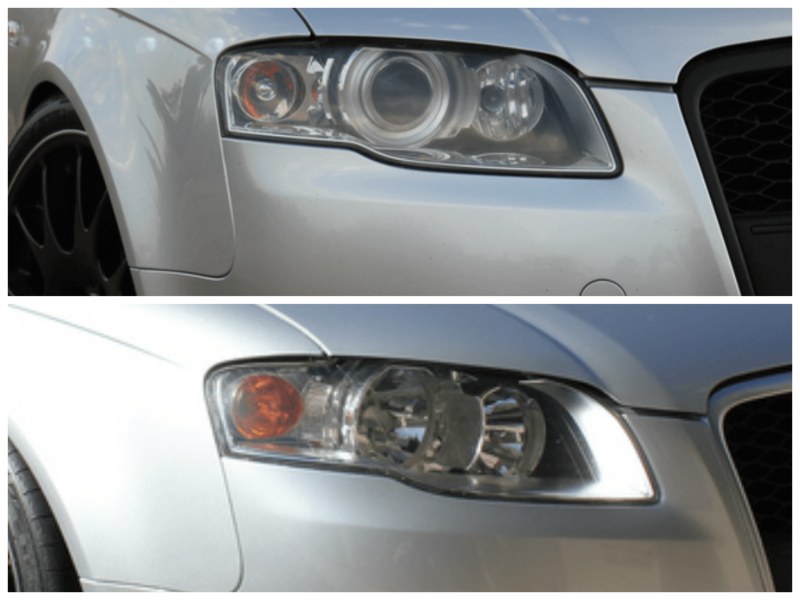 So I bought Eagle Eye DRL (below link) for my 2007 Audi A4 B7 (H9 instead of H7 bulbs). The DRL aren’t as bright as I wished they were (close to OEM level is what I hoped for) and I’m not really liking the projector output even after I had an H9 Morimoto HID kit installed. They are bright and look great but nowhere near OEM quality in terms of lighting up the road. I might click some pics and send them via email. Anyways, I’m thinking of switching over to the OEM Xenons (not sure if I want phil/fly’s DRL led lights though; just want HID!!!) and I found what looks to be a good deal on brand new Euro ones (clear instead of amber right?). Now, I shared the links below, which seem to be all from the same seller start245 who appears legit. The seller lists them as EU with AFS: 8E0941029BP (L) and 8E09410030BP (R). Since my A4 originally had halogen, I will need the adapter harness, which you recommended Kufatec right? Since I believe you put the Euro ones on your former car, can you comment? Lastly, the H9 Morimoto HID kit (35w, 5500K) I have currently installed should be fine being moved to these Euro babies right? I couldn’t find the Kufatec but I think this one suffices right? It’s all over ebay and from Germany. Sorry again but I never got an HID kit for my projectors. I guess this goes back to my question of whether I will need a new HID projector kit for the Bi-Xenons. Not sure if the H9 one that worked with the halogen and eagle eyes will work. Those european OEM xenons should work, I don’t know why the seller says they won’t but I’m guessing its more of a liability thing…they work, and a large number of people are rocking those in the US (myself included). You can get them with or without the AFS, the AFS is the auto-leveling system and is kind of prone to breaking and costs about $100 extra, so I’d be tempted to say go for the non AFS version that is cheaper IMO. That auction also mentions the headlights lack the control unit for xenons (Ballasts) as well as the servo motor for LDR, so you’re still going to need to sink some money into them. You can’t reuse the H9 HID kit with these, they take D1S bulbs and specific ballasts that you’ll need to source. That cable should work and Tuning Fanatics shop is a legit seller, so you’re safe there. But I guess lastly I should say that if you never installed an HID kit into your projector headlights, then yeah that wouldn’t make much of a difference in light output and its totally understandable you’re disappointed. You might just want to pick up an HID kit for your current setup and see if you’re happy with the light output. I’ve heard a lot of people say they’re underwhelmed by the projectors you got, but since you already have them a $50 HID kit might make a big difference and convince you that you don’t need to drop ~1,000 on a new OEM setup (cost of the headlight housings, wiring adapter, plus new bulbs and ballasts). Yeah, I agree these should work. For vehicles with headlight levelling (automatic); Without control unit for Xenon; With servo motor for LDR; Might require some modification for US models! So, no AFS it looks like. However, it says “with” servo motor for LDR so I’m good there right? As for xenon (ballasts), where do I purchase the ballasts and servo motor for LDR needed? Sorry, I just want to make sure whatever ballast and servo motor I get are the right ones. I found the right bulbs on TFS though. Also, if I understand correctly, the D1s bulbs come with igniters attached right unlike D2s? So, no igniter is needed. I was thinking about getting an HID kit for the current projectors I have in the eagle eyes but I feel it wouldn’t make a significant difference in light output. They would just be brighter. The problem is the projector itself, which I suppose I could replace but honestly I feel like going OEM after trying these out for a month. So, I have a source for the headlight housings, wiring adapter and new bulbs. I guess the only issue is the ballasts and possibly servo motor needed. Actually, these ballasts in the link below would work right? 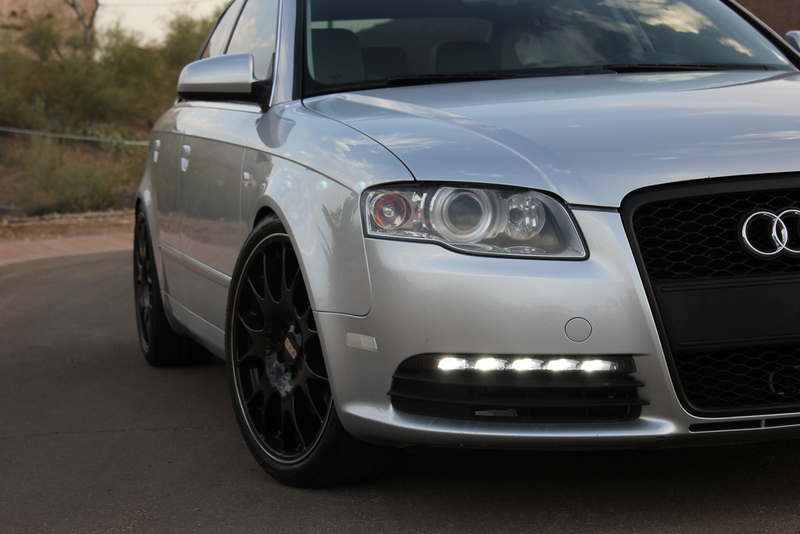 I realize I’m going high-end with Morimoto but I don’t trust the cheap ebay HID kits on my Audi. My other option would to retrofit my OEM halogen housings (still have them ;p) right with new HID projectors, etc. right? I was looking at this kit but it’s pretty expensive. Anyways, if I get the Euro OEM headlight housings, Bi-Xenon Headlight Adapter Cable, D1s Morimoto bulbs and the Morimoto XB35 amp xenon ballasts I should be good? I realize this endeavor is going to cost about 1K but I am investing in my car so I can enjoy her until she past 200K miles. At least another 5-6 years. Then, I might consider moving on to B10 or whatever Audi has at that point. Hey there – you are right, it says servo motor included, I misread that. All you need is bulbs, ballasts, and the wiring adapter. Those bulbs will work great. The Ballast I’m not sure about, if you wanted to go OEM it will mount to the underside of the housing really well. I’d be a little nervous using an aftermarket ballast with everything else OEM, just in case the amperage or anything is off and it harmed the wiring or threw an error. The ballast is actually the same that is used on a Chrysler 300, so you can buy from Chrysler a lot cheaper. Chrysler part # 5139061AA. ~$120 at http://www.wholesalemopar.com. I’m about to fit retrofit the xenon headlights but I have one question, The xenon headlight can I use the manual levelling knob to adjust the xenon headlights or do I need to use VCDS or something to adjust and level them? There is a manual leveling knob on the xenons too, although you will probably need to use VCDS the first time to recalibrate them. thanks for the speedy reply! I’m going to retrofit my xenon headlights tomorrow using the kufatek harness. How do i recalibrate them using vcds? Im guessing the manuel levelling knob should work on the xenon without having to do anything right? Sorry for confusion, I meant the headlight height adjustment knob! Awesome! Thank you soo much for your help Nick. Much Appreciated! I have successfully retrofitted the xenon headlights, I have also changed on VCDS from halogen to xenon and everything works great. But I have one problem!! The height adjustment knob which is located next to headlight switch when i twist the knob the xenons don’t go up or down. Also VCDS won’t let me access xenon Range so how can i calibrate them? THANK YOU SIR!!!! I’m assuming I need 2, (1 for each light) correct? Love the blog! so much great help on here. The AS is the part not matching, are these regular ones, or ones with curve lights? Bought them off a guy who claimes them to be spares for his DTM. they look un-used. The AS in the part number is actually just indicating it is a Euro housing. I can’t really tell if they are with or without AFS since the only description I can find of them are in German and I can’t read that. The link to the first (cheaper) wiring adapter from Kufatec should be fine if you just want basic capabilities, the latter version adds sensors for more advanced features but not necessary if you don’t care about that. Do you recommend some where to buy the Vag-Com? Not many coders in my Area of Norway, so might have to buy it to code the headlights myself. I bought mine from Ross-tech, but not sure if they sell in Norway or not. Good luck! 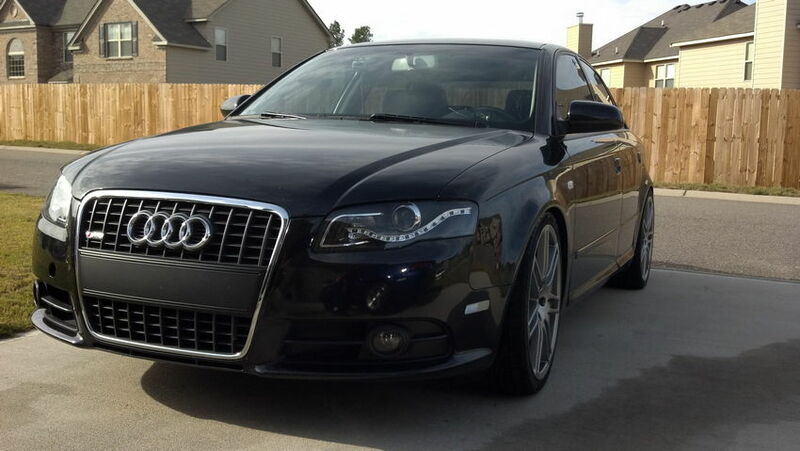 I want to purchase the aftermarket projector kit on eBay but it is for an H9 bulb and my Audi is an H7. What hid kit do I purchase? Can you send me a link Bebz? As long as it’s made by Kufatec, it’s fine. I don’t know about other brands. I have what is probably a dumb question but if the lights I’m looking at say “For vehicles with headlight levelling (automatic); Without control unit for Xenon; With servo motor for LDR”. Does that mean I will also need more parts than listed above or am I still good with everything covered? Thanks! This means that it doesn’t have ballasts included (control unit for Xenon), but has the automatic headlight leveling. You’ll need ballasts and bulbs, and it sounds like these are probably non-AFS, but it has the servo motor that auto-levels the headlights up/down just no left/right feature like AFS has.